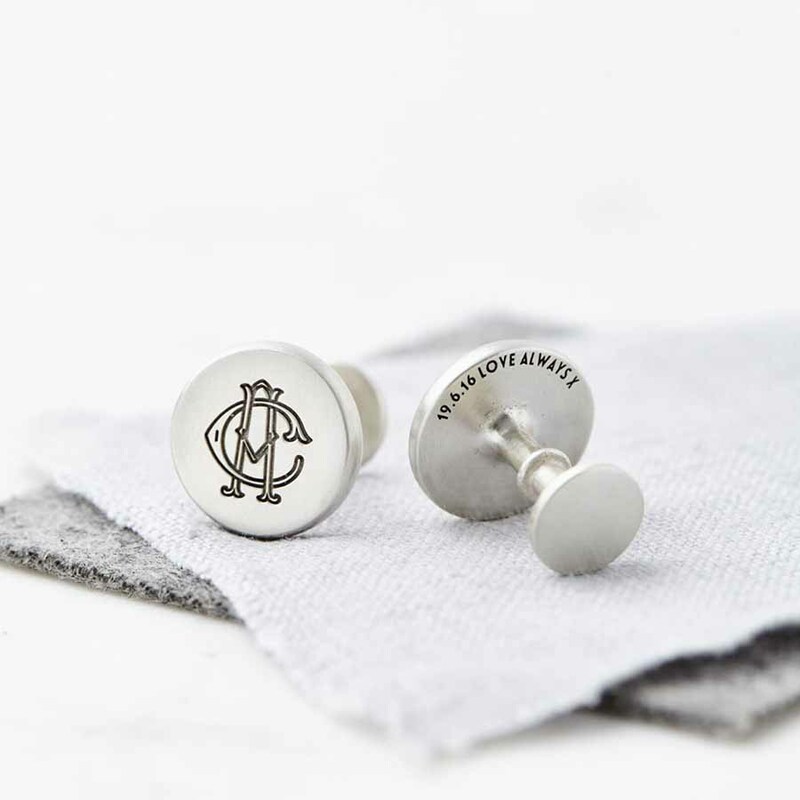 Stunning handmade solid sterling silver stud (fixed back) cufflinks featuring a unique, entwined monogram with a hidden message on the back. The two initials for the monogram are entwined, one on top of the other. 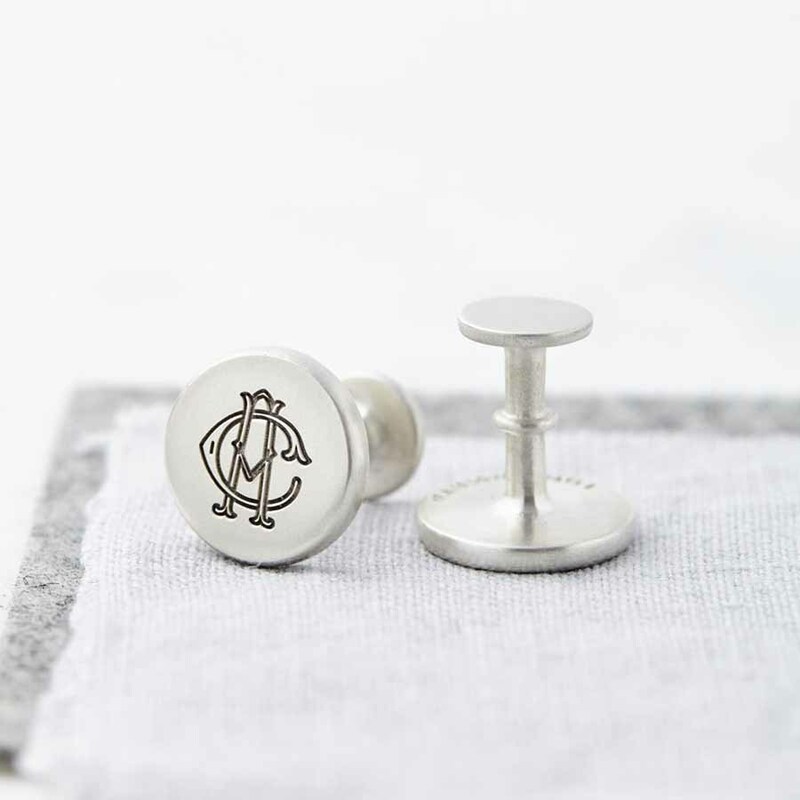 They could be the wearers initials, yours and their initials combined, or perhaps their children’s initials. 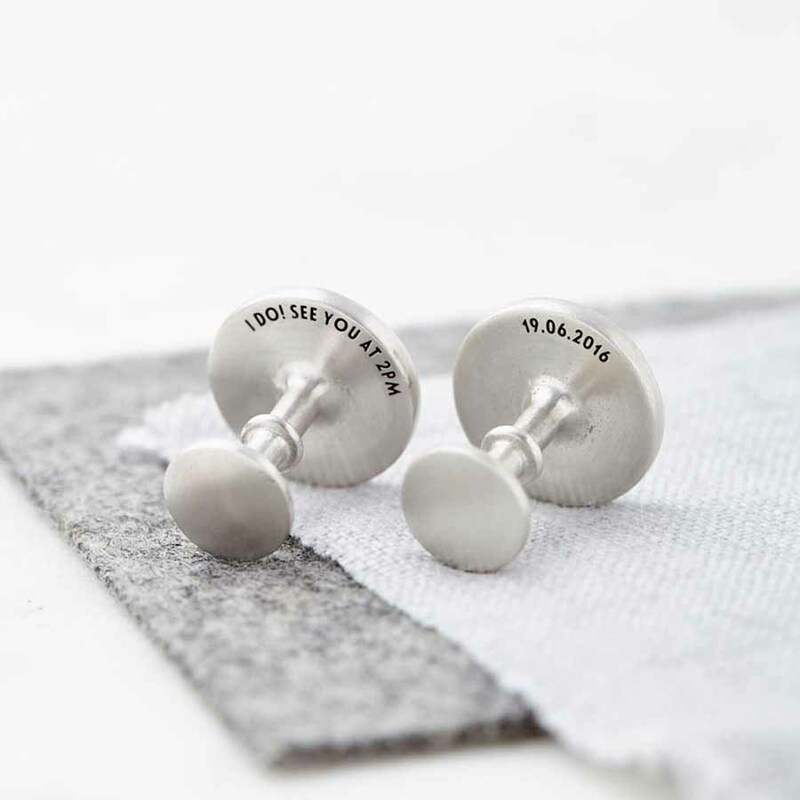 A hidden, secret message can be engraved on the reverse of the cufflinks – something between just you and the wearer. This could be a special date, or a message from you to them. 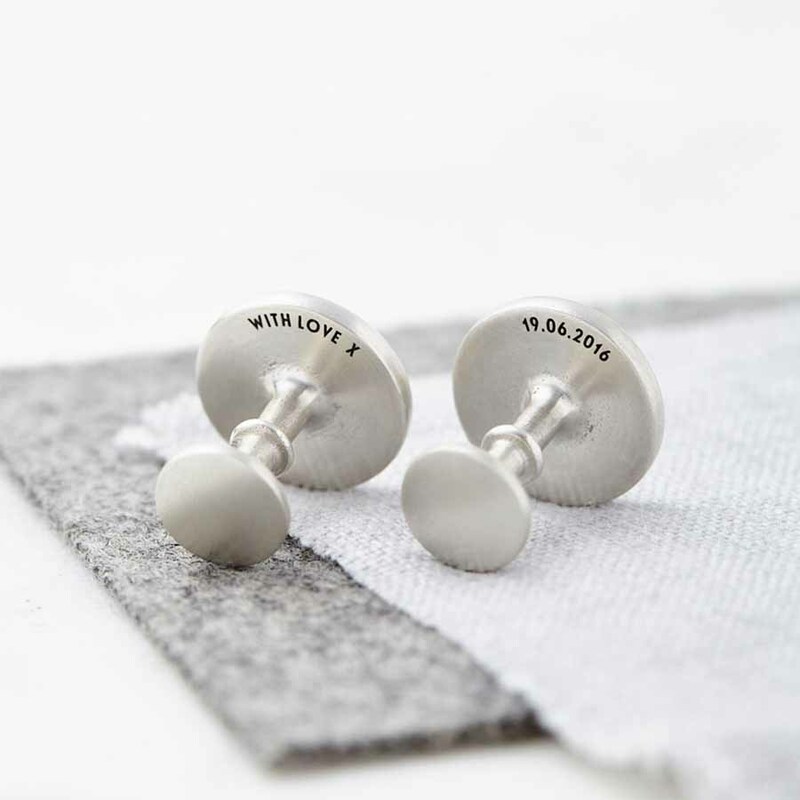 These cufflinks make a very special, personal gift that will be treasured for years to come. 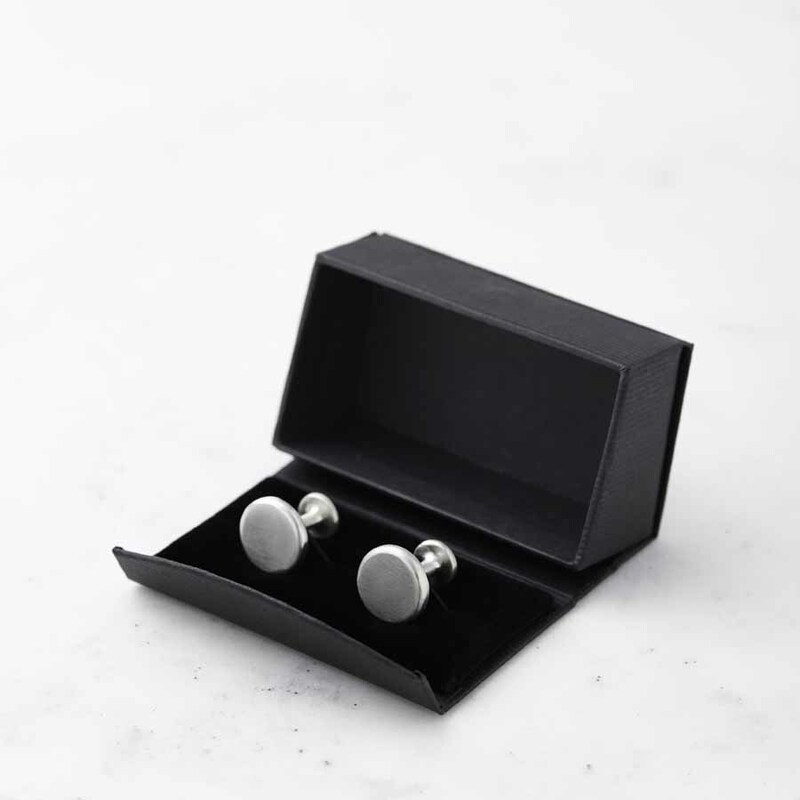 They are beautifully presented in a Sally Clay Jewellery cufflink box. 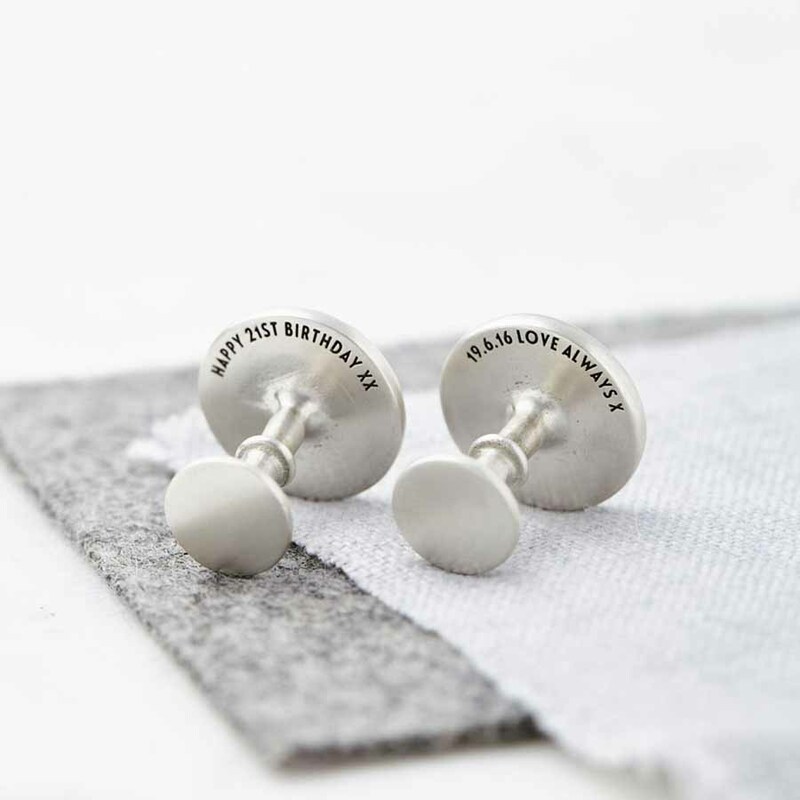 Sterling Silver with a brushed, satin finish.